Eligibility: Please understand these scholarships are intended for students and families who may not be able to afford the registration cost without a scholarship. We do not require that you disclose the circumstances of your financial status, we trust you are applying for this scholarship in good faith. Scholarship deadline: Scholarship applications must be submitted to the Deke Slayton Museum on or before 4:30pm, May 1st, 2019. Application Guidelines 1. All information on the application must be true and accurate. Scholarships are legally recoverable if paid and awarded on the basis of false information supplied by the applicant and will nullify your request for a scholarship. 2. All scholarships will be on the basis of financial need. 3. The Deke Slayton Museum in conjunction with the civil organizations who funded the scholoarships will evaluate and determine the scholarship recipients. 4. Nondiscrimination: All applicants are treated the same. No applicant will be discriminated because of religion, citizenship, race, color, national origin, or handicap. Please note that multiple people may be able to sign up to apply, however only two will be selected. Student is going into which grade (3rd or 4th) for the 2019/20 school year? I certify that the following child has my permission to participate in the Deke Slayton Space Camp. I hereby release the Deke Slayton Memorial Space and Bicycle Museum and their employees from any liability, claims, lawsuits, etc. 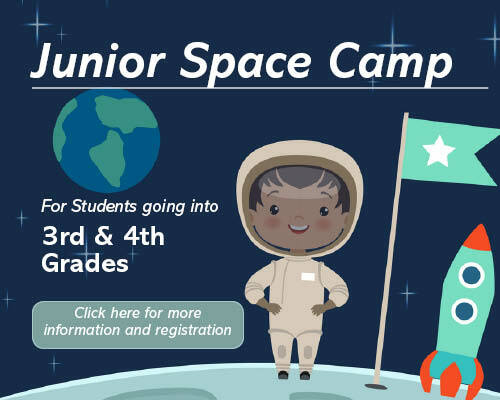 from any injury or illness that may result from participation in Deke Slayton Space Camp. I certify that my child is in good physical health and can participate in all camp activities. I further certify that the above camper has medical insurance in case of an emergency. Deke Slayton Space Camp and the Deke Slayton Memorial Space and Bicycle Museum, the directors, and any staff shall not be held responsible for personal injury of any student or loss of individual property during the camp. I grant permission for the camp directors to act on my behalf in case of medical emergency. I understand that I am responsible for all medical expenses. I (Parent’s/Guardian’s name) grant the Deke Slayton Memorial Space and Bicycle Museum, the right to take photographs of me, my child, and my family in connection with the above-identified event. I authorize the Deke Slayton Memorial Space and Bicycle Museum, its assigns and transferees to copyright, use and publish the same in print and/or electronically. I agree that the Deke Slayton Memorial Space and Bicycle Museum may use such photographs of me with or without my name and for any lawful purpose, including for example such purposes as publicity, illustration, advertising, and Web content.